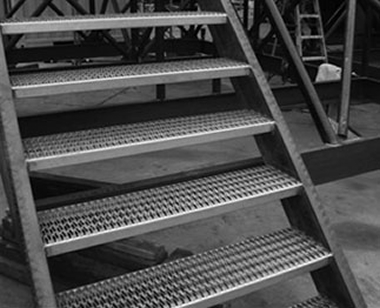 Grip Strut® engineered bolt-up system makes staircase erection easier and quicker. 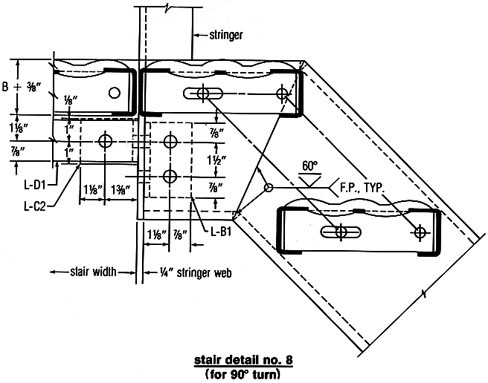 Staircases can be constructed on-site with locally available materials from designs that comply with the requirements of major building codes. Stringer bolted solidly to top support.